If you have any issues with your delivery on your delivery day, please reference the tracking number in your shipping confirmation email. You'll want to speak directly with the carrier listed in the email, as they will be able to help you with your package most effectively! 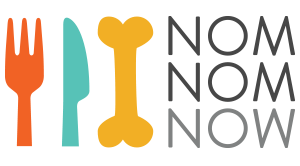 Should you have any further issues, please contact us directly at (415) 991-0669, or care@nomnomnow.com, and we can assist you! We will sort out the issue with our partners, and ensure you receive your package (or, if need be, a new one). To avoid any issues with packages, please make sure your account includes detailed delivery instructions (gate codes, buzzer instructions, details on where you would like the package left, etc.) to ensure your package is delivered when and where it should be!